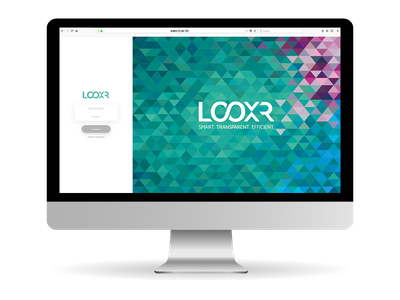 Save energy and time with LOOXR's digital Leakage Management Tool. Leaks in the compressed air system are invisible but expensive. The location and documentation of the leaks can be expensive, but they do not have to be! 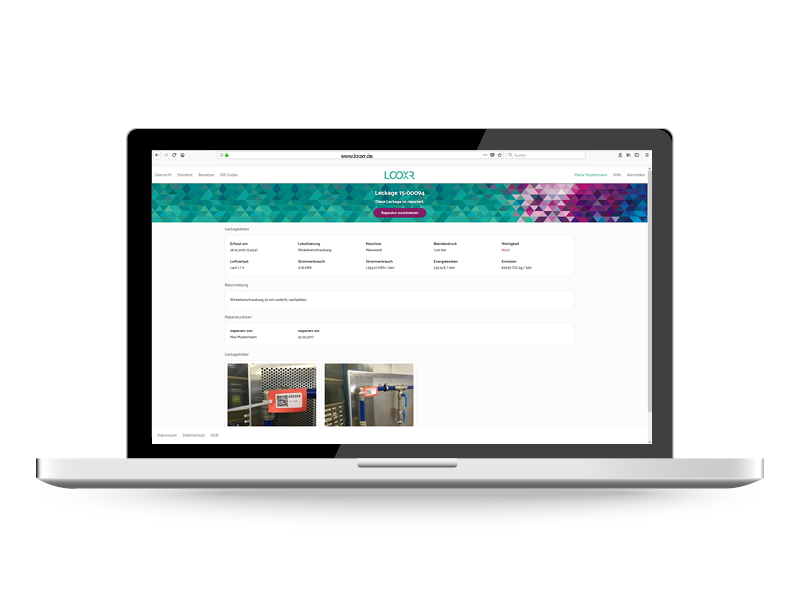 With the LOOXR leakage management, everything runs with just a few clicks and you always have an overview of your compressed air leaks and their location. 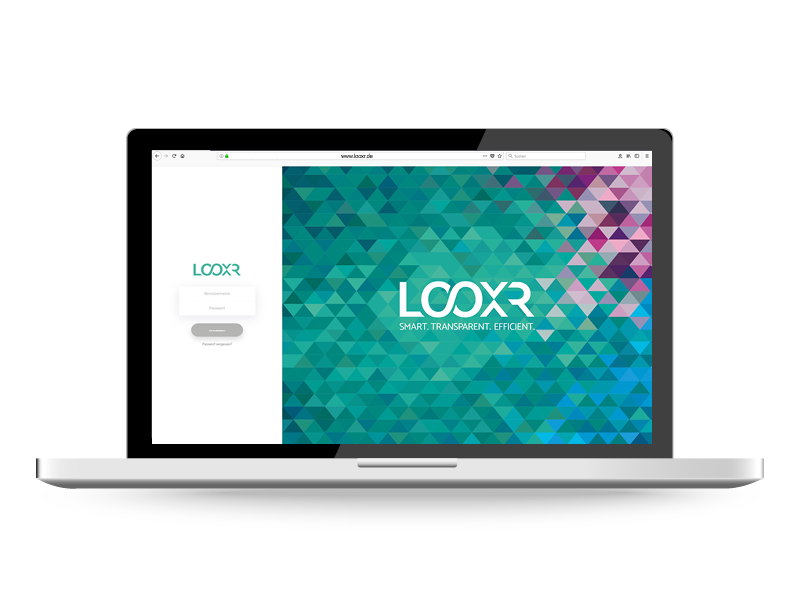 The portal shows you potential savings, progress, results and much more. Continuous documentation is the basis for the verifiability of the energy efficiency increase and cost overview. 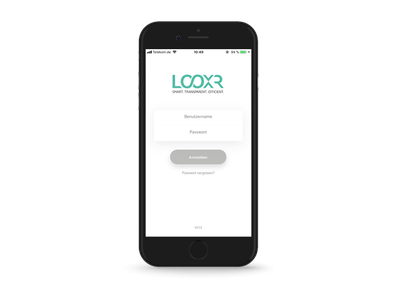 With the app you can document localized leakages, evaluate them economically and have a direct visibility of the progress. 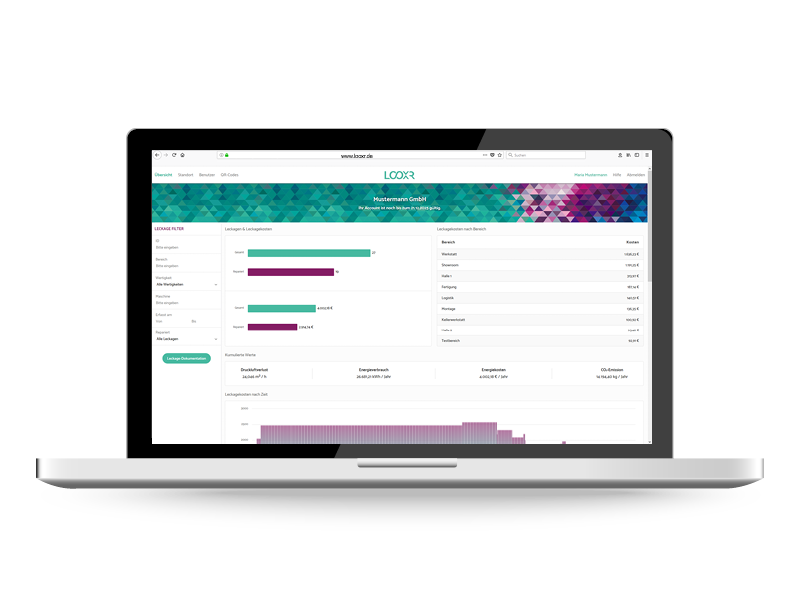 Find out how LOOXR Leakage Management works and request your personal test access to the app and the portal. Locate leaks. Remove. See successes. Professional location of compressed air leaks using ultrasonic technology during operation. 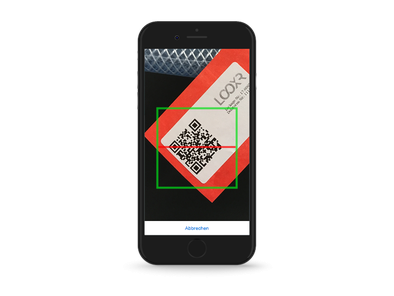 The leakages and determined measured values are recorded digitally via the leakage app. 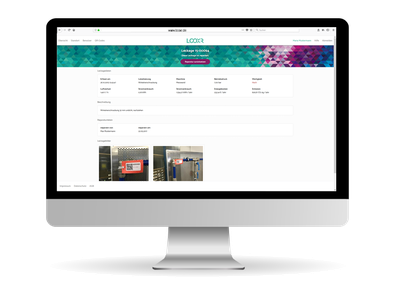 Each leak is marked with a QR code, captured graphically and locally in the system so that it can be clearly assigned at any time. 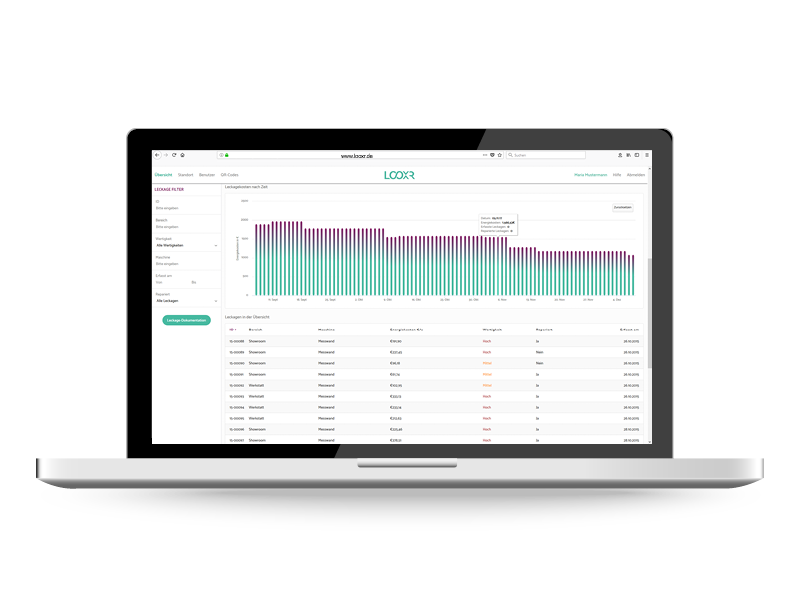 With the leakage portal, you can always have an eye on your leaks and energy costs. Look for a specific leak or filter for areas. 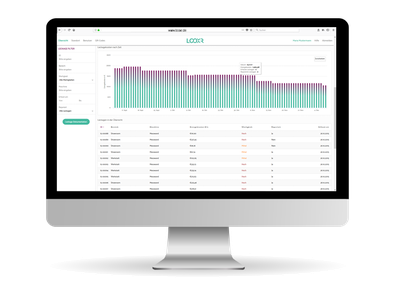 Prepare the next elimination process quickly and easily, and create fully automated, comprehensive documentation to track your achievements. Compressed air leaks often tear a large hole in your wallet – unnoticed. By eliminating the leaks, you can save up to 50% of your energy costs. 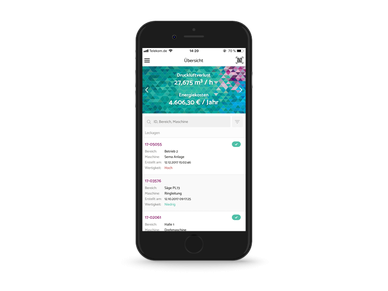 Already during the locating, the app evaluates all detected leakages economically (caused costs), as well as ecological (CO2 emissions) and determines the potential savings simultaneously. The energy costs decrease with every repair. So do not hesitate with the leakage elimination. We support you and provide you with the right service partner. You would like to take over the leakage elimination yourself? We deliver all necessary spare parts. All items are provided with the leak ID and can be assigned to any leakage quickly and easily. You decide. Choose exactly the package that suits you best. Service throughout the country with our partners. In our services we rely on our contractors and professional compressed air service providers. So we can offer you a perfect service for our software all over Germany.